I’ve been hard at work on lots of new projects lately, but I haven’t been able to share much just yet. So, I decided to share with you some of my favorite illustration podcasts and some extras that are fun to listen to while you’re illustrating. I hope you can find something new that you enjoy and you can get a little insight into my personality. Paper Wings Podcast: This inspiring podcast is less focused on illustration specifically and more on storytelling and personal projects. Chris and Lora have such great insight into the way artists’ and storytellers’ minds work and they want to help you be successful in whatever avenue you choose to pursue. They give advice on portfolios, pitching, getting out from under creative block, and how to find ways to monetize your personal project. And stick around for the end-of-the-podcast bloopers. In the interest of full disclosure, you may or may not already know that I am working with Chris Oatley as a Paper Wings apprentice. I was, however, listening to this podcast long before I joined forces with them. Escape From Illustration Island: Thomas James has managed to interview some of the biggest names in illustration and art direction. I learned so much about building and editing my portfolio, designing my website, and promoting my business and I heard it from professionals with many years of experience. 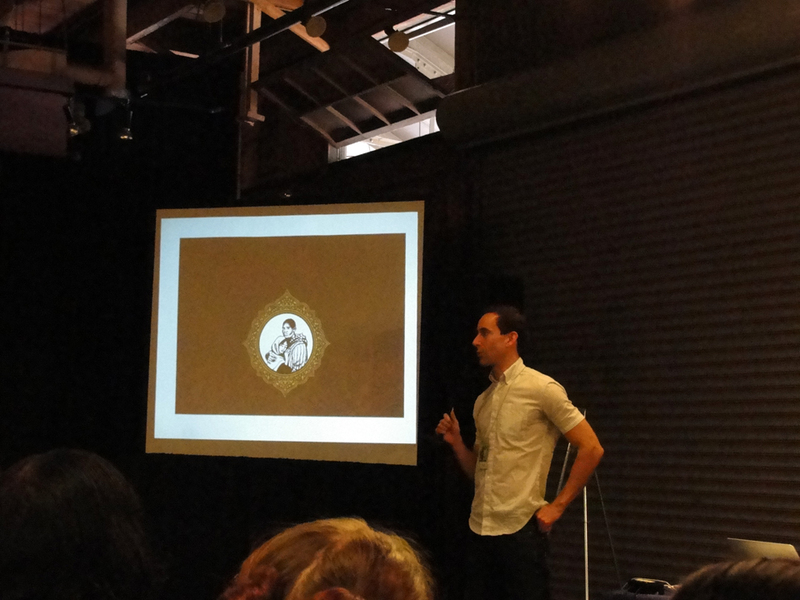 Thomas is building a great site full of resources for freelance illustrators. Big Illustration Party Time: Listening to Josh & Kevin chat about the illustration industry, their work weeks, and other illustration & cartooning topics is both entertaining and informative. It’s a very casual podcast and feels a lot like sitting around and talking with your artist friends, which is extra valuable when you’re working at home alone. Chris Oatley’s ArtCast: This podcast is a bit broader than just illustration. Chris Oatley (the same Chris from Paper Wings) works in animation at Disney so his ArtCast covers all things art and business related. He has a unique and inspiring perspective as well as some great interviews. The Illopond Pondcast: This is a brand new podcast! It is spearheaded by Samuel Kirkman and is a part of the Illopond illustration collective. I am a part of this collective of talented and determined illustrators who have been collaborating on short story and comic anthologies for children. 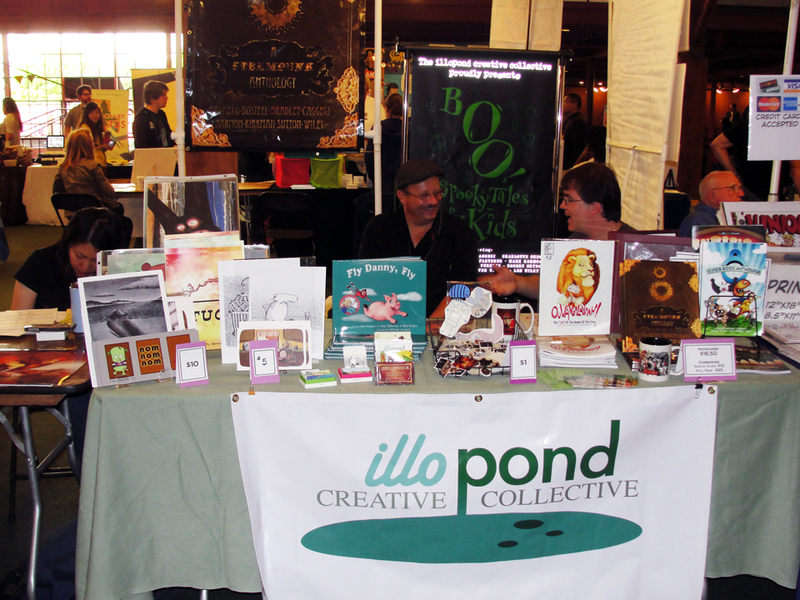 Check out the site and the Pondcast and you can see some of our books for sale too. Honorable mention goes to Art & Story and The Ink Panthers Show. These two are much more comics heavy. I enjoy them but find I just don’t listen to them as often as the ones above. I would also like to share some of my favorite non-illustration podcasts. I listen to podcasts for most of my day, so it’s important to have a few that are pure entertainment. Everything here should be available on iTunes. A lot of these have some rough language, so be aware of that in case you prefer to steer away from it. I hope you enjoy these! Share some of your favorite podcasts (illustration or otherwise) in the comments below! Click here to buy signed prints and books with my illustration! 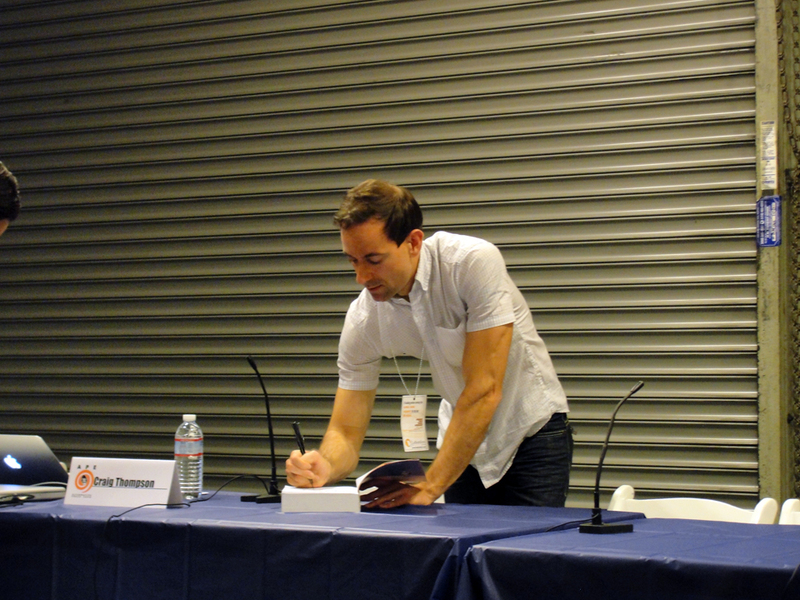 I have signed copies of my two Illopond Anthologies for sale: Boo! 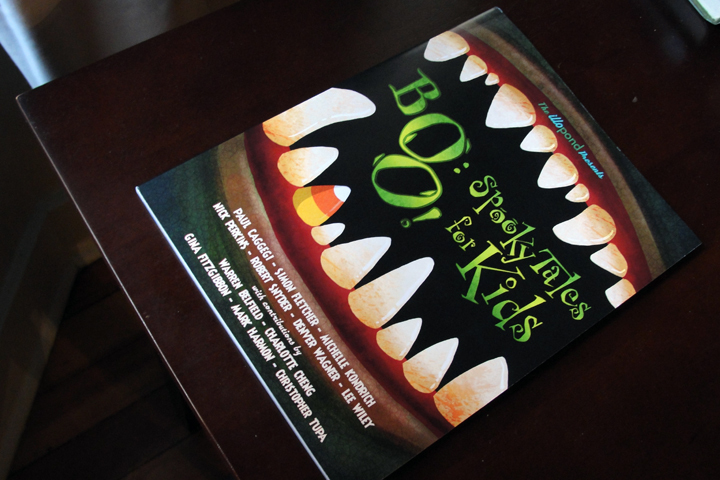 Spooky Tales for Kids and 8: A Kid’s Book Anthology. I also have signed copies of Fly Danny, Fly, the self-published children’s book that I was commissioned to illustrate last year. This is the only place where you can find books and prints signed by yours truly and the quantity of books is limited, so don’t hesitate! 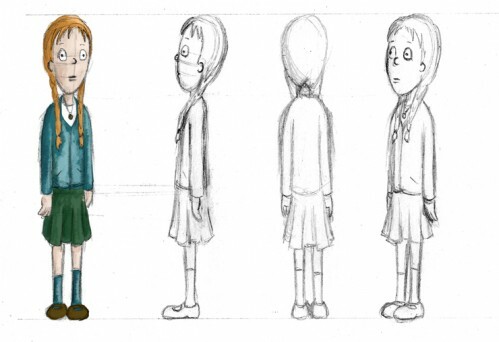 And don’t forget, if you are interested in taking a class from Schoolism, click on the button on the bottom right of this page to get a discount on classes. 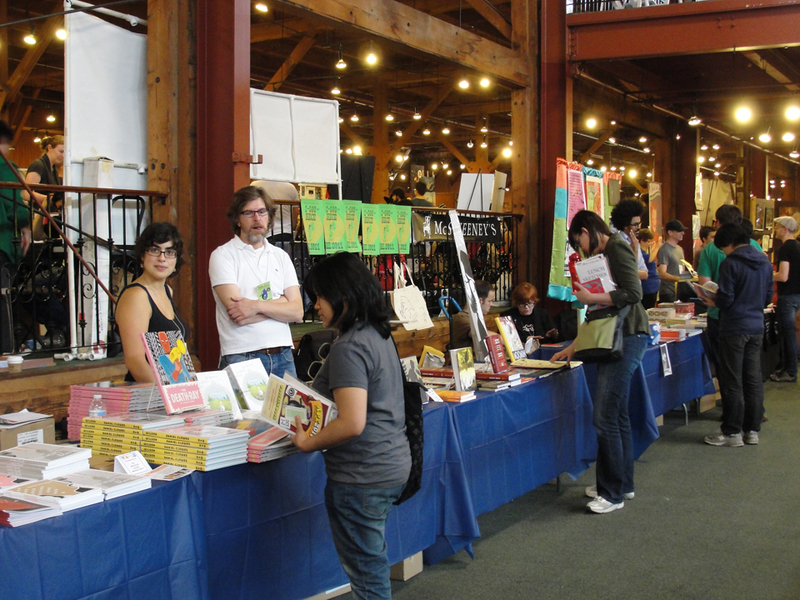 I’m back from a wonderful weekend at APE in San Francisco and totally exhausted! The trip was a whirlwind but a lot of fun and it was great to meet 3 of my fellow Illopond contributors. Above is (left to right) Charlotte Cheng, Denver Wagner, and Samuel Kirkman. We had loads of books and prints for sale, including our latest anthology, Boo!, which is now available for sale at Indy Planet! Charlotte is very excited about our table. 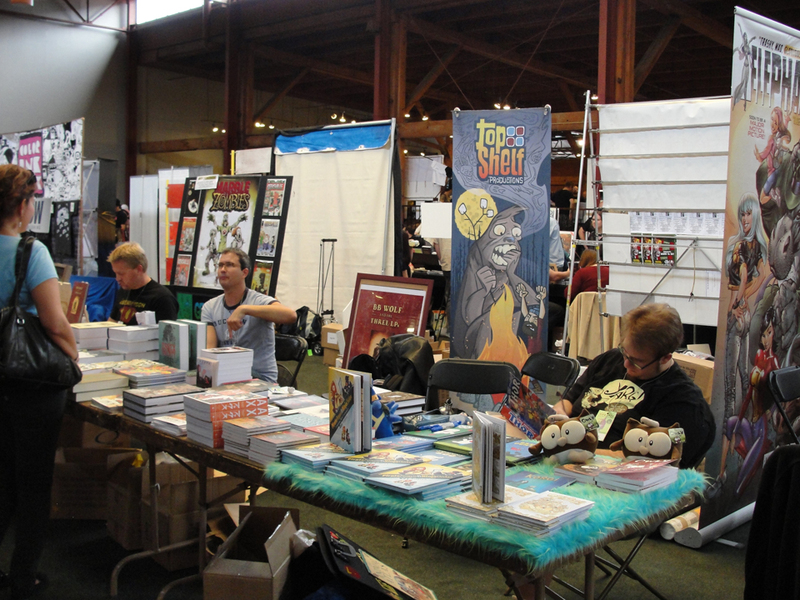 Our table was far too cluttered the first day, as you can see here. We rearranged for Day 2. There was so much amazing work to see and a pretty decent crowd. 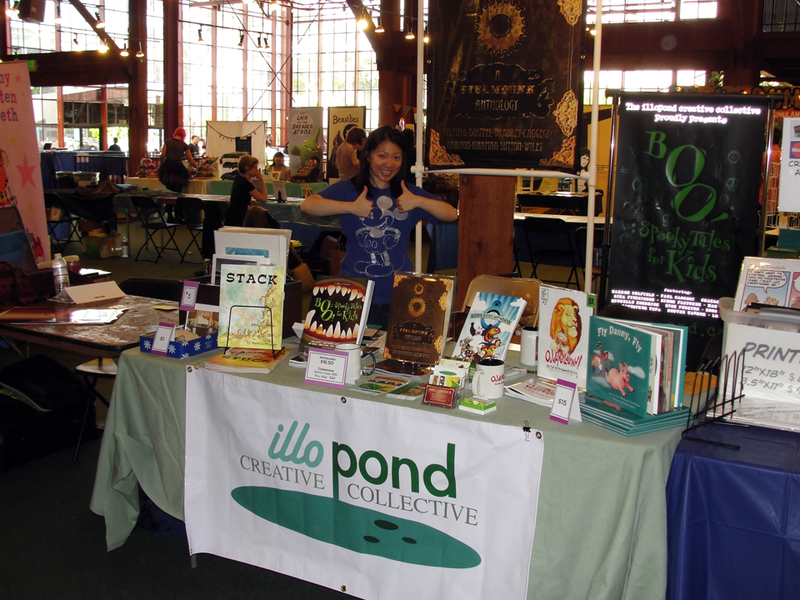 This was my first experience tabling at a con and it was solid one. I was fortunate enough to see Daniel Clowes and Adriane Tomine speak together and answer questions and Craig Thompson also spoke about his new book, Habibi, and his previous 3 books. Daniel Clowes was surprisingly funny and he resembles many of the characters he creates. He’d make a great straight man in a comedy duo. Craig Thompson was funny too and I could really relate to his Midwestern upbringing. I did my best not to spend too much money so walking through some of the aisles was a serious challenge. Chris Eliopoulos' "Okie Dokie Donuts" was calling my name at the Top Shelf table. The one purchase I did allow myself was the second volume of The Anthology Project. It is a really gorgeous book and I can’t wait to read it. 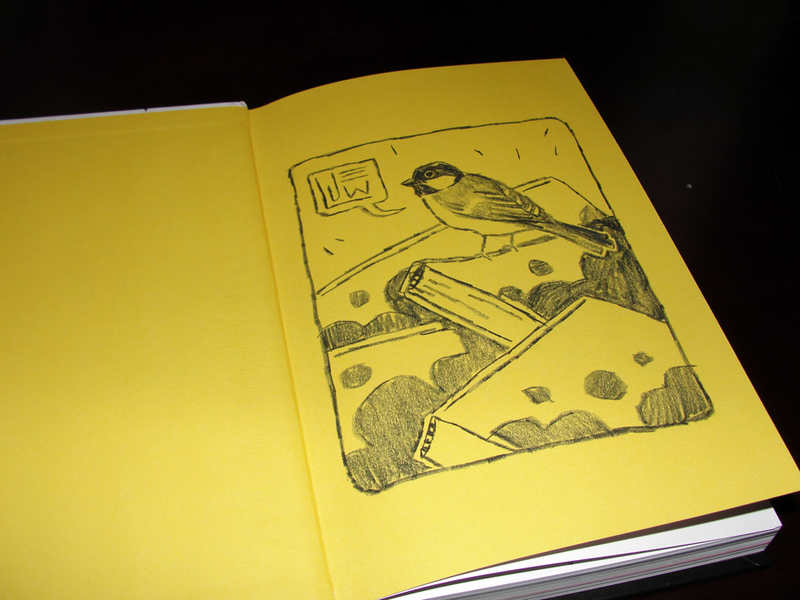 The very friendly Jake Wyatt, one of the contributors, drew a lovely bird in the front of my book. This piece by Sam Bosma is what caught my eye in the first place. Hooray for my first con experience! And thanks to Sam, Denver, and Charlotte for their hard work and for being such fun people. 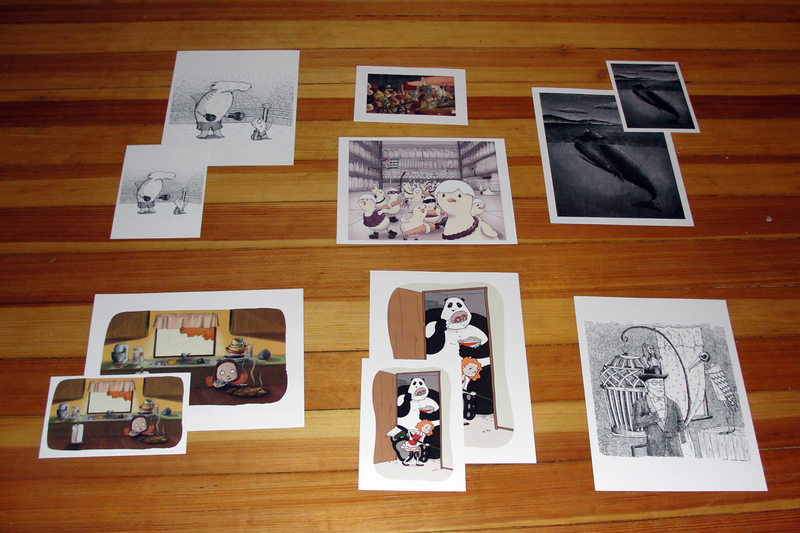 I do have some books and prints leftover (print selection is below). 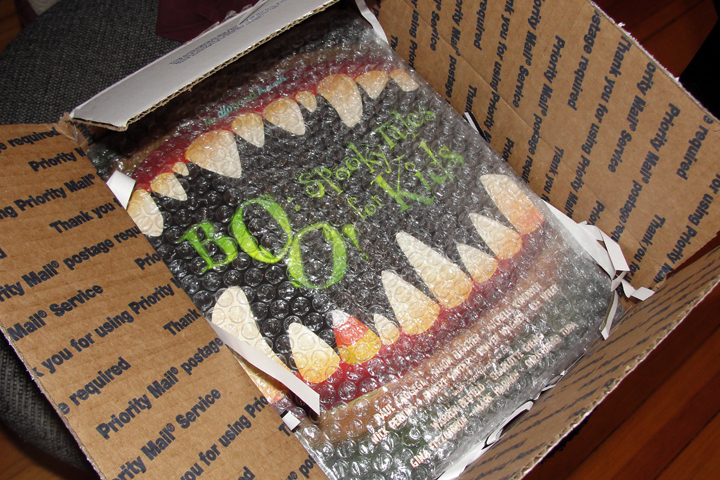 I have copies of the kid’s anthology, Boo!, and Fly Danny, Fly. I plan to set up a shop for all of these things very soon, but if you are interested in purchasing any of these (with my signature if you like!) then please get in touch. I’m offering a serious blue light special on multiple prints, so don’t be shy! I was so excited when I came home yesterday afternoon to a box from Ka-Blam. 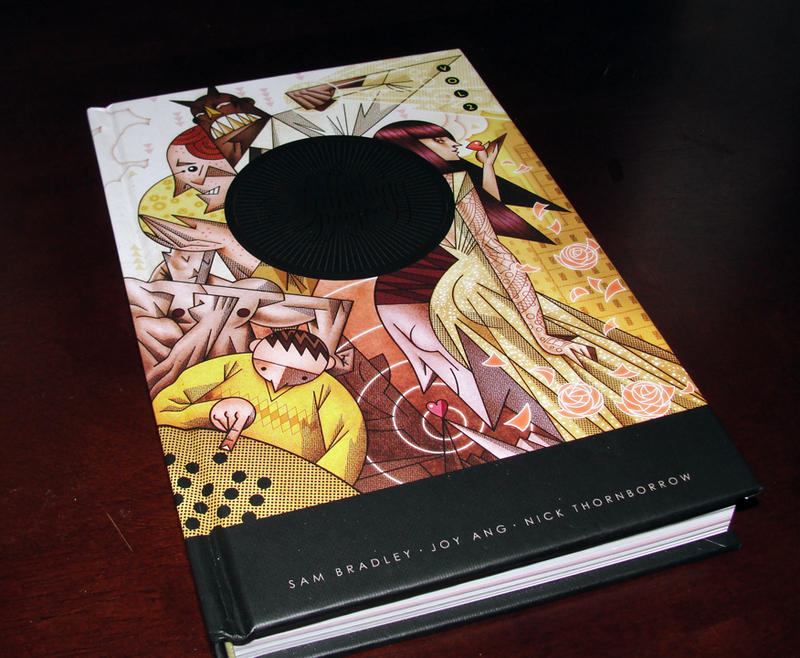 They have been responsible for printing all of Illopond’s anthologies thus far and they always do a great job. I opened the box and found what I couldn’t wait to get: Boo! 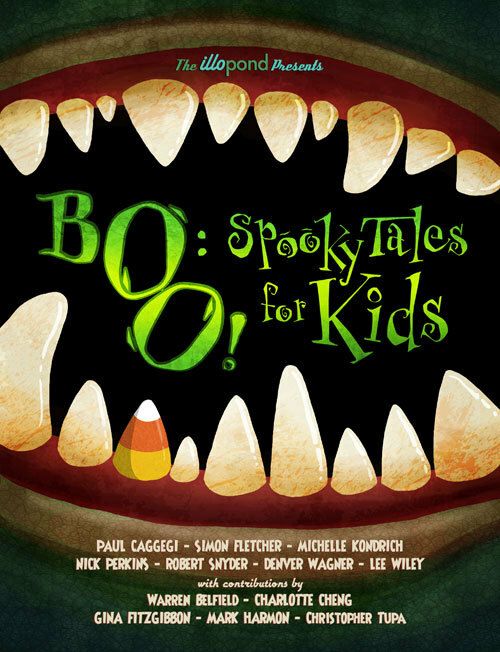 Spooky Tales for Kids. Mark Harmon created the fantastic front and back covers which are really going to grab kids’ attention from far away. Denver Wagner organized this project and put together the book and did a mighty fine job. My story, Detention, was created for this anthology. And look! There it is! The book will be available for purchase at APE this year and shortly after will also be available on Indy Planet along with the other Illopond anthologies, like 8: A Kid’s Book Anthology which I’ve got a story in. Come by our table and say hello! 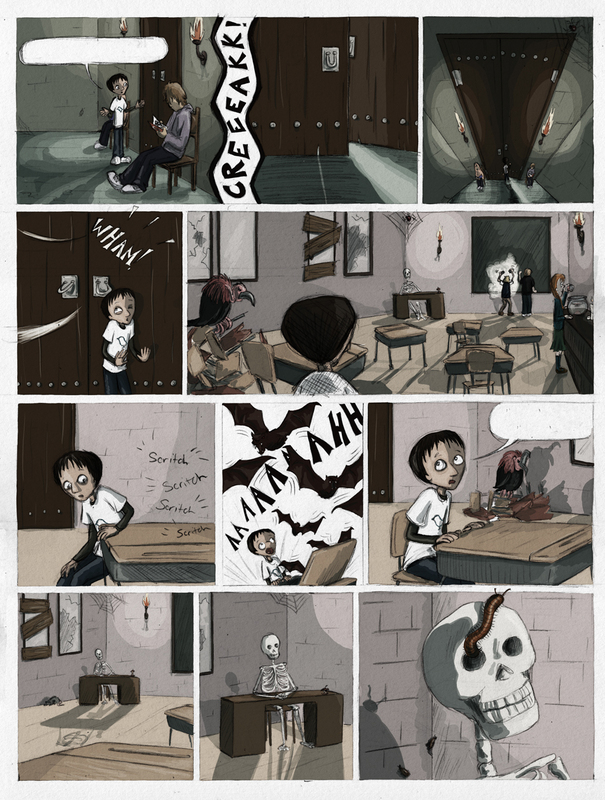 Detention is a spooky, all-ages comic about a boy sent to a mysterious detention room. Recalling the tales of Franz Kakfa and the original Twilight Zone series, Detention will chill any kid to the bone. And it is available now as an ebook over at The Illustrated Section! 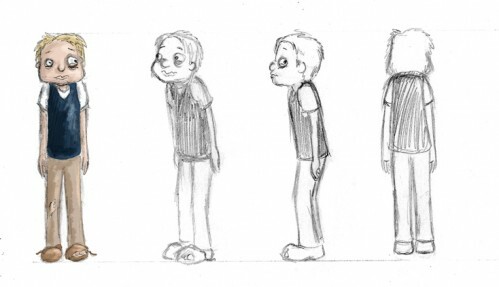 Below is a little wordless sneak peek to help whet your comics appetite. Please help spread the word and leave reviews! Dani Jones has done such a fantastic job with The Illustrated Section. She’s doing a great thing for artists so not only can you support my work, but browse and support other artists while you’re at it. The comic will be available in print in October along with Boo! 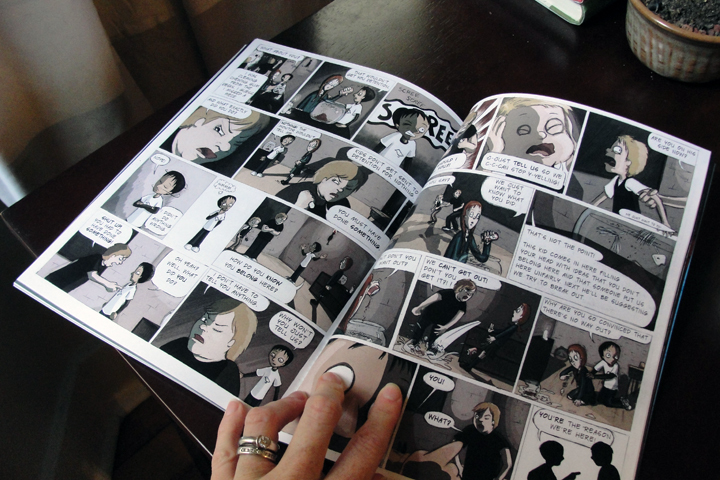 A Spooky Anthology for Kids, the anthology that it was created for. 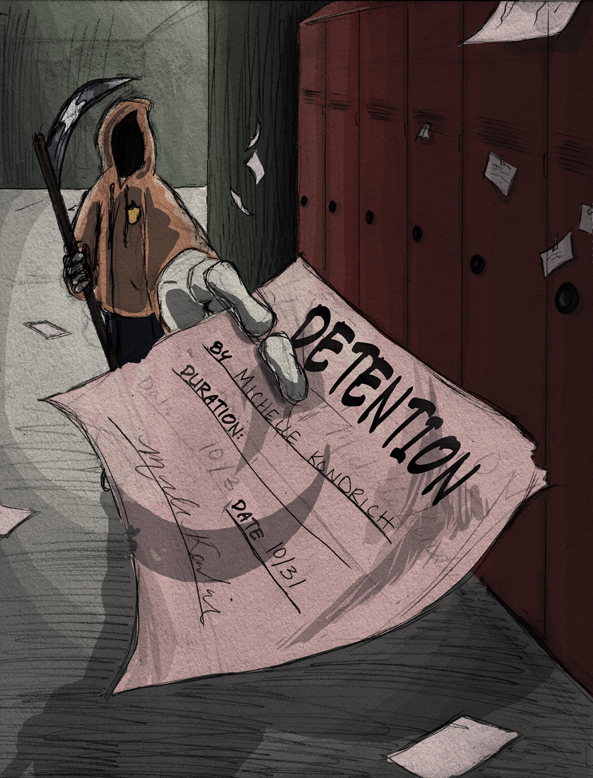 At long last, my new mini-comic, “Detention,” is finished! Today I’m sending it off to be included in a new Illopond Anthology called “Boo!” It will be available as part of the anthology and soon you will be able to purchase a digital copy at The Illustrated Section or as a print copy on it’s own either through Ka-Blam or at the Alternative Press Expo where I’ll be tabling with other members of Illopond. Hope to see you there! Today I finished the first draft of my new spooky, all-ages comic that I’m creating over at Illopond.com. 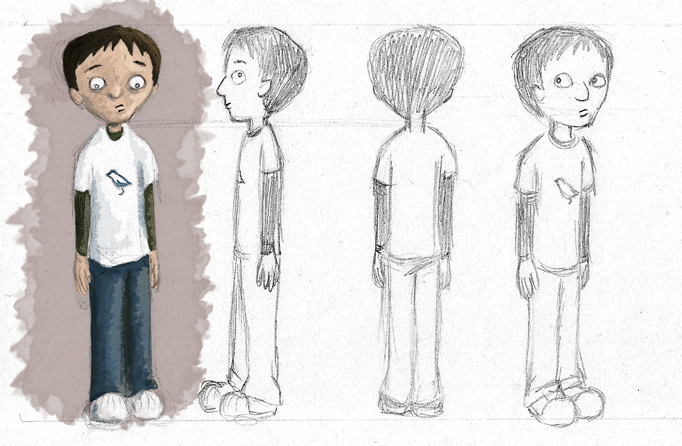 You can check out my process so far here. Obviously, I’ve got lots of people to help critique the work as I go, but if you check out the process and have any suggestions for me, please come back and let me know! This is my first longer form comic, so I have lots to learn. You can see some of the other characters here. Right now I’m working on another short, all-ages story for a scary anthology at Illopond called “BOO!” I worked with some of the same contributors on “8: A Kid’s Book Anthology” and some are new to the site. Check it out if you are interested in collaborating with other artists or want to start your own. My story is called “The Detention” and you can see where I am with the process here. Below are two of the characters that my protagonist will encounter while he’s in detention. Feel free to critique them since the story is still in development. Last night, 7 members of the Illopond (including myself) had a wonderful conversation with Paul Caggegi for The Process Diary. 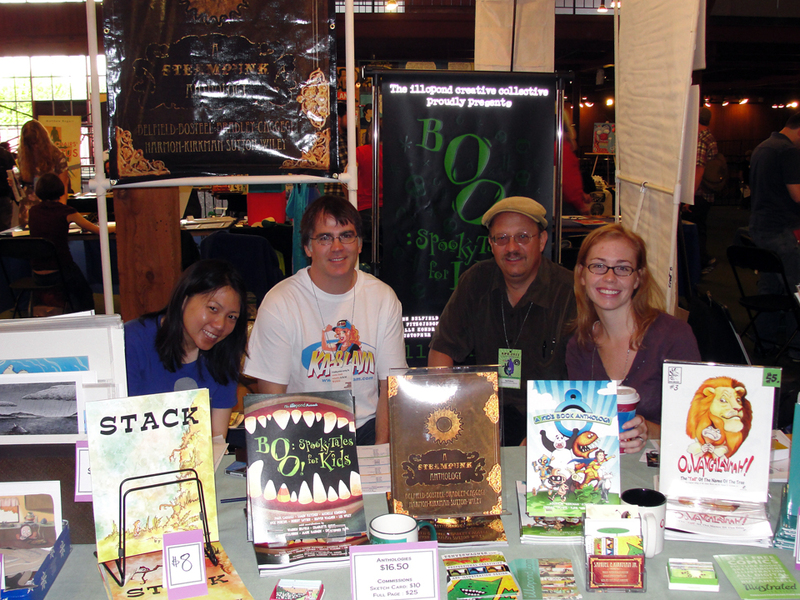 These are the folks I worked with on “8: A Kid’s Book Anthology” and they’ve just come out with a Steampunk Anthology that’s shaping up to be pretty awesome. Have a listen to learn more about Illopond and how you can get involved in a collaborative project. I think I will be participating in a horror anthology this year. You can also start your own project if you like! 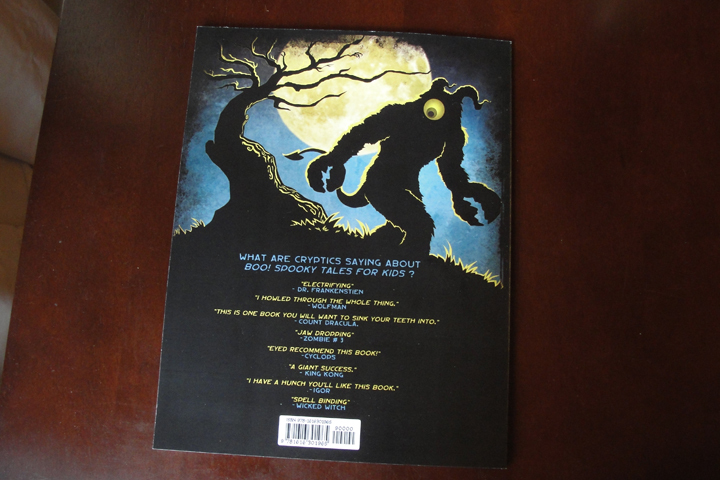 Over the weekend, the amazing Jon Woodward of Zero2Illo posted a feature on the kid’s book anthology I participated in. You can read the feature here. Also be on the lookout for an interview with me on his site about my experience with self-publishing. Jon has created an amazing site full of resources for illustrators and other freelancers. He has also recently launched a new brand: Then There Were None. Here he creates limited edition collections of clothing and accessories featuring his illustrations of endangered animals. The proceeds go to charitable causes that help protect endangered species. I plan to get my hands on some of his work for holiday gifts as soon as the new collection is launched on November 18th. Please check it out! 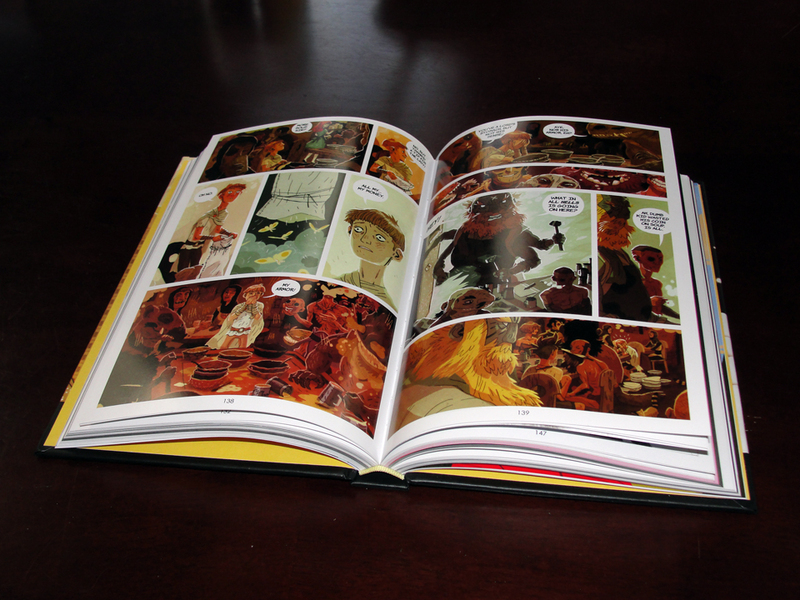 And if you still haven’t purchased your copy of ‘8: A Kid’s Book Anthology’ you can pick it up here. And stay tuned for the new episode of Chris Oatley’s Artcast with all the book’s creators that should go live this week!